Limited Edition! Only 2 available and once they are gone they will not be available again! Each box is grain painted and sealed with varnish. 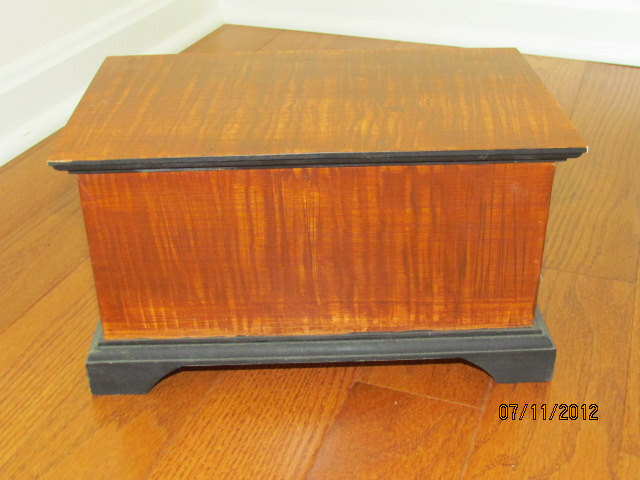 Black trim accents along bottom of box and along bottom of the lid. Inside box is painted in a warm butter color as well as underneath the box. Box is signed and dated by the artist. Boxes are sold as is, finish is distressed to appear aged. Approximate measurements: 11.5 x 7 x 6.5"